Sugary beverages, like soda, have been found to be worse for health than other sweets. 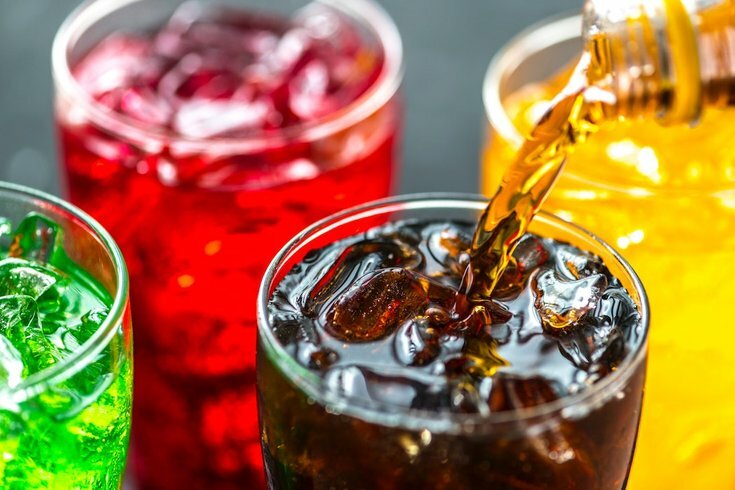 Sweets such as danishes, pies and cakes are often depicted as a diabetic’s worst nightmare, due to the high sugar content used in recipes, but a new study finds that sugary drinks — like soda — are more detrimental to health than sweets. In fact, these sugar-filled liquids might increase a person’s chance of developing diabetes more than other sugar-ridden foods. Published in the British Medical Journal, researchers from St. Michael's Hospital and Toronto University in Canada wanted to explore how different sugary foods affect blood glucose levels. To begin doing so, they examined 155 previous studies — including 5,086 patients — on the topic. The assessments evaluated people with and without diabetes for up to 12 weeks. After a thorough analysis, researchers found that most foods containing natural fructose sugars — like vegetables, fruits and natural fruit juice — do not affect blood glucose levels. But foods with added glucose, such as soft drinks, breakfast cereals, baked goods and sweets, were found to have harmful health effects. Likely due to the added “nutrient poor” energy they add to a person’s diet. Until then, “public health professionals should be aware that harmful effects of fructose-containing sugars on glycemic control seem to be mediated by energy and food source,” researchers conclude. But the detrimental effects of soda have been known for a while now. A 2017 study suggested that the beverage was likely to set up a person for development of pre-diabetes.